The Wrestle Talk Podcast with Joe and Rene is proud to announce that on Wednesday, January 10th, we will have the opportunity to speak with several recognizable faces in the world of professional wrestling. At 7:10 P.M., during the “High Spots” segment, we have the opportunity to talk with J. Savage from KCXW. 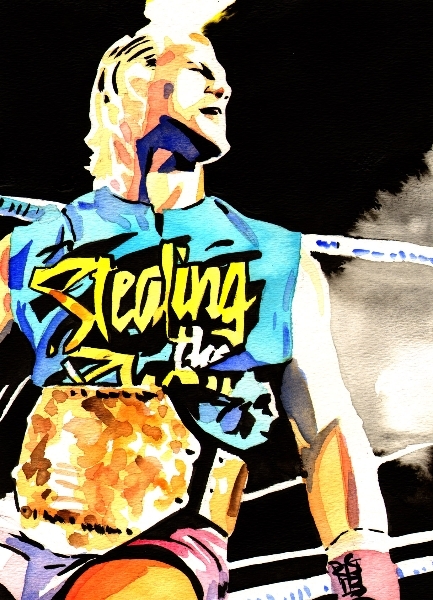 A lifelong professional wrestling fan, J. Savage is a relentless competitor who is quickly making a name for himself as one of the fastest-rising professional wrestlers in the mid-western United States. In addition to talking about all of the recent events in the world of professional wrestling, we will also be discussing the upcoming KCXW: Wrestling for Pets event on Saturday, January 13th at the State Street Project in Kansas City, Kansas. In addition to this event being a fundraiser for the Midwest Animal ResQ, fans will have the opportunity to see one-half of the Rock and Roll Express, WWE Hall of Famer Ricky Morton at this event. At 7:30 P.M., we have the opportunity to talk with Alex Torres. Born in Passaic, New Jersey, Alex Torres is an artist who is heavily influenced by artists like DOOM, Common, DAS EFX, The Delfonics, Gil Scott Herron, and Punk Rock Music. As a child, Alex Torres utilized music, movies, video games, and televised professional wrestling to escape from the deplorable living conditions he experienced. These escape mechanisms allowed Alex Torres to develop a critical thinking intuition. Free-thinking and approaching tasks in an unorthodox fashion, allows Alex to cultivate lyrics in a fashion that is rarely heard in today’s “rap industry.” Now residing in Aurora, Colorado, Alex Torres prides himself on producing, writing, and mastering all his music, but critical thinking is the message he wishes to be at the forefront of his artistry. At 8:30 P.M., we have the opportunity to talk with owner of the Imperial Wrestling Revolution, Jerry Bostic. Currently residing in Ardmore, Oklahoma, Jerry Bostic founded the Imperial Wrestling Revolution in 2014. Since that time, under the guidance of Jerry Bostic, Justin Roberts, and Jim Ross, the Imperial Wrestling Revolution has become one of the premier professional wrestling promotions in the southern United States. In 2017, the Imperial Wrestling Revolution ventured into the pay per view world with their “OklaMania” event on FITE TV. During this exclusive interview, we will also be discussing the Imperial Wrestling Revolution’s upcoming “God Bless Texas” event on Saturday, January 20th in Dallas, Texas. This event will feature a variety of recognizable professional wrestling personalities, including Marshall and Ross Von Erich, Lisa Marie Varon, MVP, Matt Sydal, Abyss, The Spirit Squad, Ethan Carter III, Chavo Guerrero Jr., and Madison Rayne. In addition, WWE Hall of Famers “Mean” Gene Okerlund and Sting will be in attendance at this historic event. 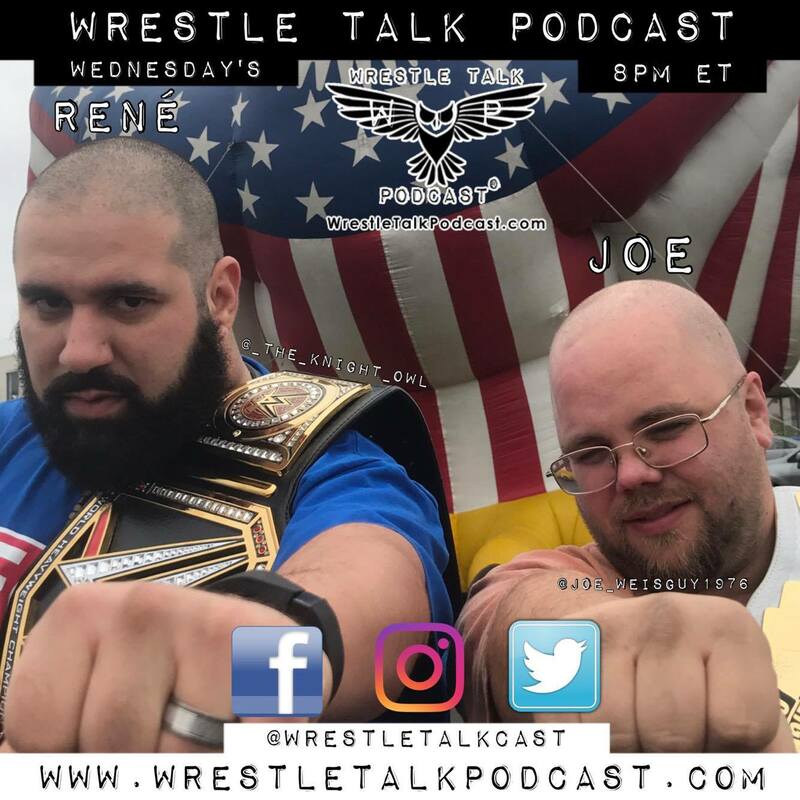 Please tune in to the Wrestle Talk Podcast with Joe and Rene as we continue to bring you the best in the world of professional wrestling. This entry was posted on January 9, 2018 at 6:31 am	and is filed under Uncategorized. You can follow any responses to this entry through the RSS 2.0 feed. You can leave a response, or trackback from your own site.